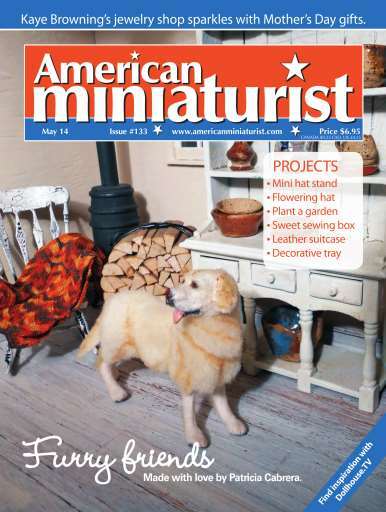 The May 2014 issue of American Miniaturist is filled with great do-it-yourself projects and artisan inspiration. Celebrating springtime and the upcoming summer, this issue includes miniature gardens galore, fresh and fun jewelry and fashion accessories, and some extra special Mother’s Day gifts. 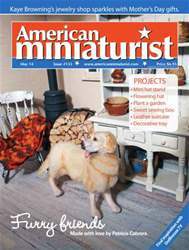 The features include the ever-friendly and down-to-earth miniature artisans who have created beautiful cottages, furry friends, and miniature accessory shops. And as usual, we’ve got the latest industry news and show dates. You won’t want to miss this issue.